The Tree Pipit and Meadow Pipit look very much alike. Fortunately the songs are very different. 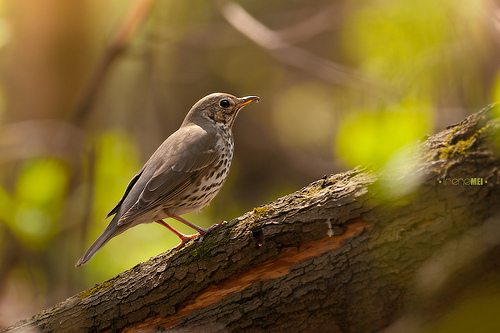 A Tree Pipit sings a song that repeats itself. The Meadow Pipit glides down to the ground with locked wings, meanwhile singing a decrescendo tyu-tyu-tyu. 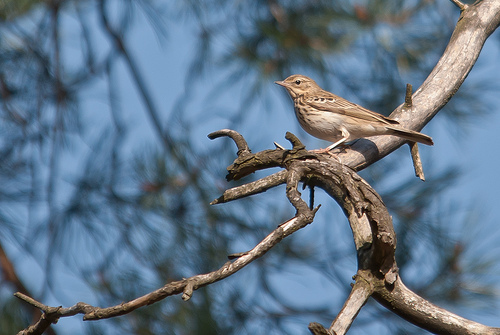 The Tree Pipit has a more melodious song than the Meadow Pipit. The latter has a characteristic decrescendo tyu-tyu-tyu-tyu.